Well here it is the very latest software upgrade for the XP Deus, there has been a little history between version 3.0 and 3.1, personally I never experienced any of the problems mentioned on forums so I can not comment, all I know is the V3.2 ticks the right boxes for me. I do feel people need to accept that the software upgrades are actual changes to your machine and will change it's behaviour, especially if you install your old settings into the latest upgrade, so try to understand that you need to accept your machine is a new machine, parameters have changed so it may take a couple of outings to get the feel of it's improved performance and slightly different language. Your machine will have much faster iron separation and minimal depth loss when using higher reactivity speeds, this is very noticeable when searching ancient sites that have lots of nails, reactivity 3 and 4 are the new kids on the block, the V2 machines don't even come close. If you are simply cold searching reactivity 2 is a good compromise between a smooth signal and good target separation. The pitch now has an adjustable audio sound. 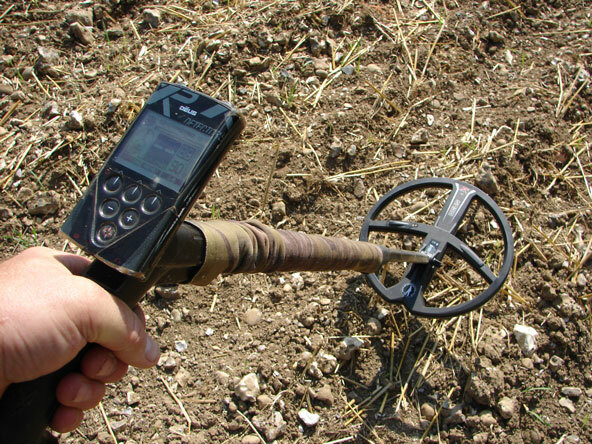 For cold searching I use two tones, low for ferrous and high for non ferrous, my "cold search" program is based around a simple dig or don't dig platform with a sharp precise audio. I use full tones on my "hot site" program this allows me to get in between iron and really pick out the good signals, full tone is a multi tone audio and assigns a tone for every meter number, the iron sound is low, and high conductors have a high tone. The tones are very smooth and almost blend together, it takes a little time to "zone in" using full tones , but I think it's well worth the extra time and patience. Those with difficulty hearing low tones may not be suited to the "full tone" audio as the iron and low conductive target tone's are quite close in pitch, I would suggest running discrimination at 3-5 to eliminate the iron tone if you have problems. XP Deus interesting targets using "Full tones"
I have assigned them 2 names "Hot" and "Cold"
Hot is to be used when you have found your area of ancient habitation and want to get the most out of your productive patch. Here we have some big changes, at first don't be afraid to use a discrimination 6 or lower until you get used to the audio feedback. As a rule try to stick with the manual setting, when you start detecting keep an eye on the top right read out, this is giving you a "real time" ground reading, let's say it is pretty constant at around 87(see pic), try to adjust your ground balance number which is the two digits underneath (see pic) to within 3 digits above the suggested setting, do not adjust below as the machine may become erratic. Tracking automatically adjusts the machine to the ground as you search, I would not suggest you use the tracking feature if you are searching amongst iron or uneven ground, as the machine may never find a suitable clean patch in order to perform the procedure, it is far better to use manual in these situations and balance the machine to an average point rather than trying for an exact setting. 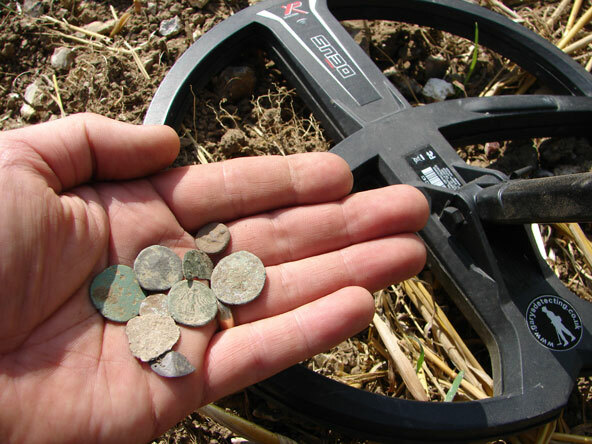 To achieve more depth on pasture you can make the machine ground active which will give maximum depth, the trade off is the machine may become unstable and detect holes in wet conditions. Turn your sensitivity up until the machine starts chattering, make sure there are no targets (ferrous or non ferrous) beneath the coil. Select GB...then manual, lower the setting to around 65 and lower the coil to the ground slowly, you should hear a noise when it approaches....now adjust the ground by pressing the + (plus), repeat raising and lowering several times while adjusting the ground until the ground noise just starts to disappear as the coil approaches the soil. Reduce the sensitivity back to 90. You now have the machine running on the edge of detection and will give you amazing depth, but perhaps not ideal to use in an everyday search situation. I normally use the pre set of 90 on plough and stubble ! Like the XP Gold Maxx, the Deus was designed as an audio machine...OK it has a visual target screen but a skilled operator will only use the screen to set the machine up, after that the screen is only a second reference, always trust the audio first. 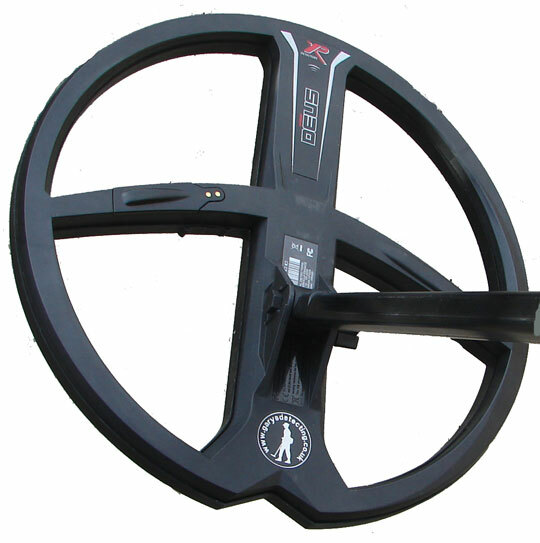 I would suggest place the module in your pocket once the machine is set up and only use the meter if hunting for shallow targets in parks. If you are having problems identifying deep targets try turning the iron volume down to 0 and adjusting the audio response to 2, this will give a faint sound for deep targets and a loud sound for shallow targets, now you can "cherry pick" the faint sounds. If you are hard of hearing try running a higher audio response, this will make the machine sound more dynamic but will give no actual depth advantage. TX gain will not greatly effect depth, the difference between 1 and 3 will be possibly 2" on a coin sized target, TX gain effects the overall stability of the machine, not necessarily the coil performance. Only use a high TX Gain if you are searching deep pasture which is free from contamination. Very soon we will have some step by step video's uploaded based on the information talked about in this article showing my programs in action. 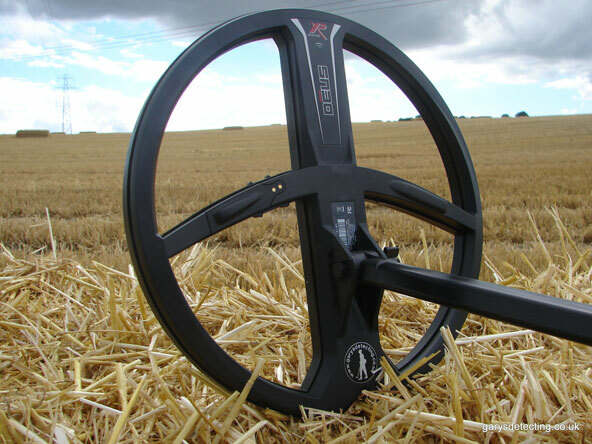 We now have three coils available for the XP Deus, all of which are designed for a specific use, the 9" coil is ideal for working iron contaminated sites, the 13" coil is good for ground coverage, relic hunting and beach work, the new 11" coil fills a space which makes the machine more of an "all rounder" that will suit a wider variety of Deus users. The coils are manufactured to the usual high XP standards, a new lower stem and revised coil washer system will be supplied with every new purchase. As we all know the replicable battery system is a great feature, however the new style coils have a replaceable circuit board to, so for as little as 45 Euro's you can have the full internal circuit replaced, so these coils are built for life. Once fitted the coil felt slightly heavier than the stock coil but not uncomfortable, perhaps heavier is not the right word, it felt different, let me explain ! Comparing the stock coil to the new 11" coil I found the weight to be virtually the same, just over 400g, so it can not be the weight making the machine feel different, it must be the coil lug position. However the Deus 11" coil did not feel un comfortable, I guess the best word to describe it is chunky making the machine feel more solid. As my testing gained momentum I started to get a good idea of it's potential and began thinking what sites would this 11" coil be best suited for ? This was quite a stumbling block for me because unless the coils were side by side I had no way of comparing differences. 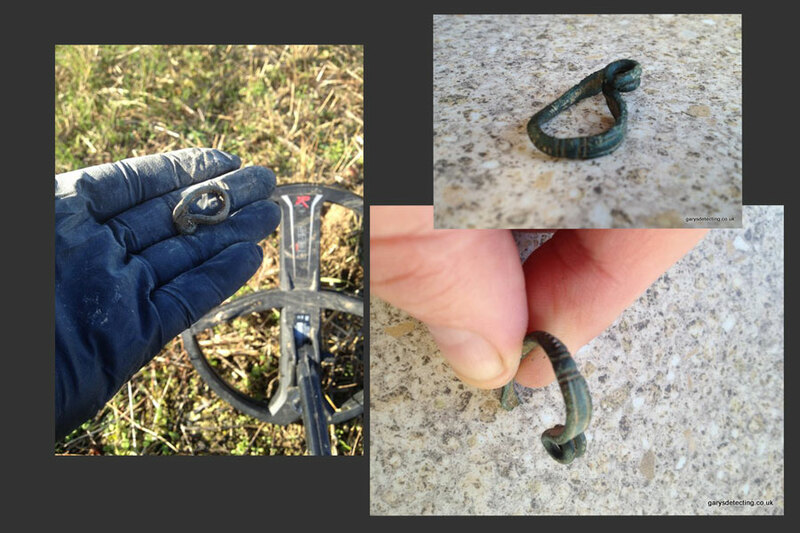 It became more apparent when I started to inspect my finds at the end of the session, I had a range of large and small targets with no bias towards either. The answer was quite clear...the coil was just a coil, it offers better ground coverage and improved depth especially on the higher conductive targets just like any other bigger coil....However combine it with a machine that has endless parameters and you have a coil for 99% of your search requirements based on your correct site adjustments at the time. 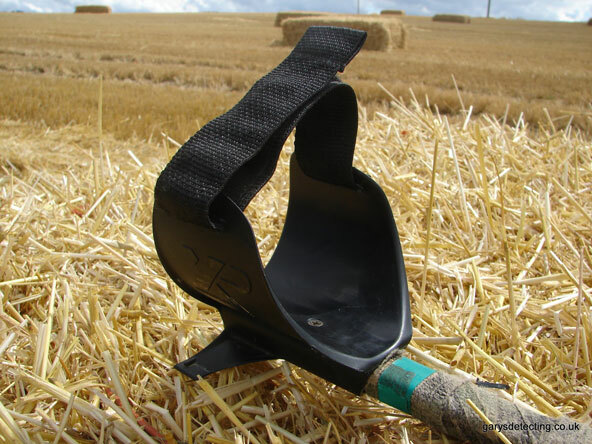 I fitted a Velcro strap to my arm cup, initially I found it helped when searching stubble. If possible I always use the strap with every machine, as it makes the detector so much more comfortable and can eliminate the inertia of swinging a bigger coil, which can pull your arm out of the cup. XP Deus in the field using "Full tone"